The house on No. 6, Lane 7, Qingtian Street initially was one of the residential houses built by a housing cooperation group of Japanese professors. It was designed and built by Professor Masashi Adachi, and was completed in 1931. 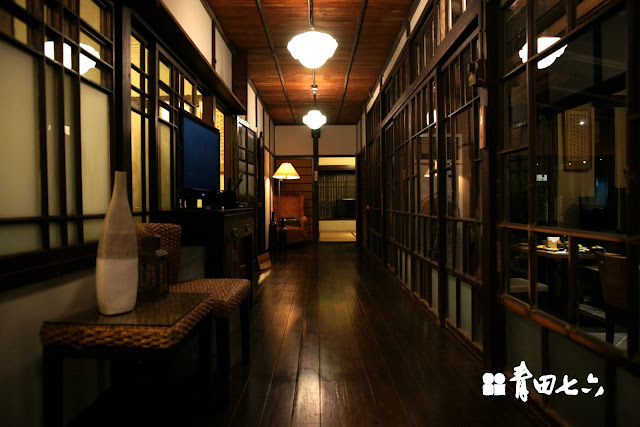 In 1945 the house became the residence of Professor Ma, who was among one of the several professors that took over National Taiwan University. Since 1945 up until 2007, the house had been home to the Mas. On May 2nd, 2006, the house was officially designated a Municipal Relics site through a Taipei Municipal Government Declaration. Closed Every 1st Monday of the month. Drive on Hoping East Road in an east-to-west direction， you take a right turn at Qingtian St, go as far as Lane 7 and turn right. You are there. Routes 235,15,278, 237, 18, 662 and 663 get off at stop Wenzhou St. Entrance; walk to Qingtian St. and take a right turn to Lane 7. You are there. Take the MRT to Dongmen Station, leave via exit 5, a ten minute walk along Yongkang Street and left turn to Jinhua Street, and then turn right as you reach Qingtian Street.